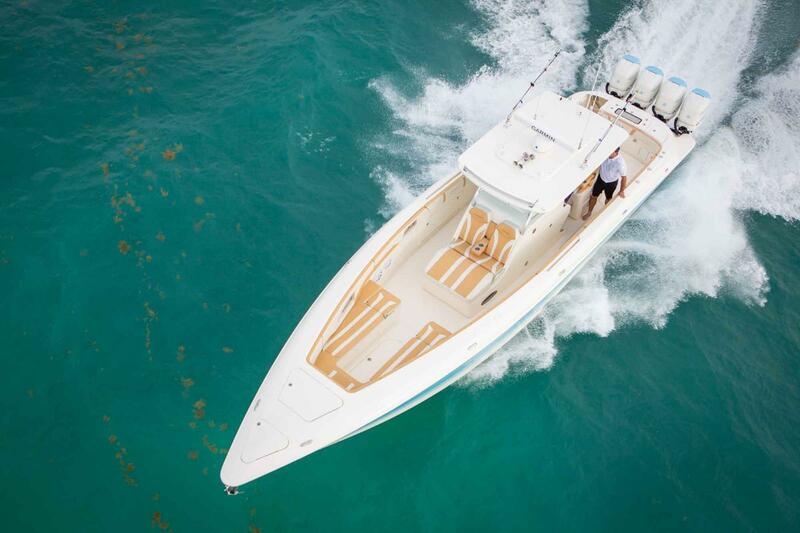 When making open ocean crossings is the norm rather than the exception, look no further than our 44’ Open Deck Series. 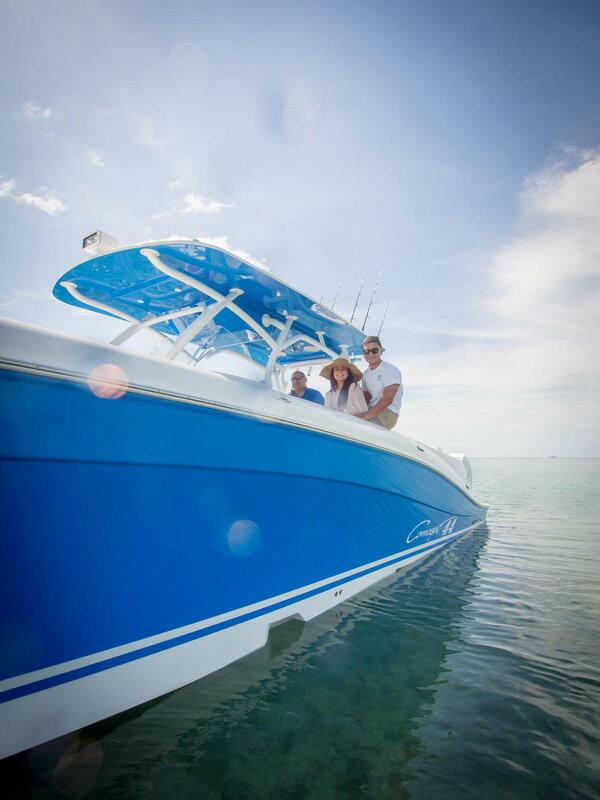 Designed for high-performance offshore cruising, this elite model outfitted with triple or quad outboard power makes quick work of long distances and choppy seas. 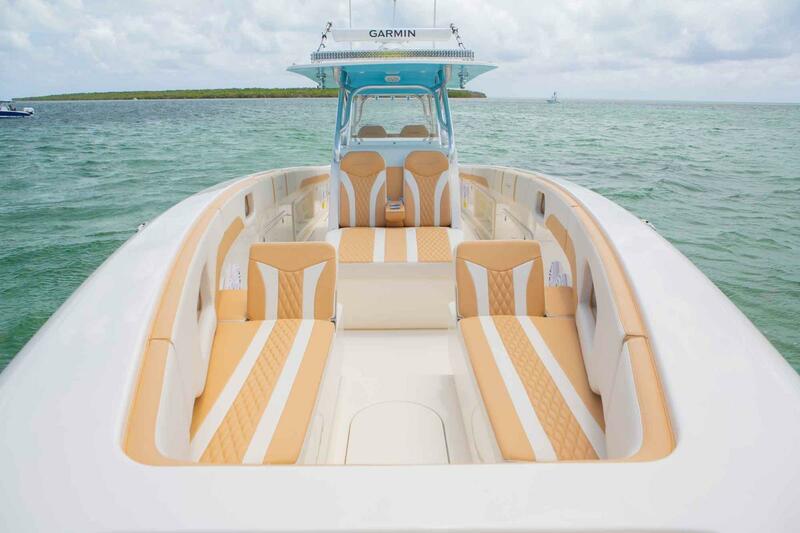 Featuring a distinct style like no other, every detail has been refined, delivering a boat that’s as stylish as it is performance-driven. 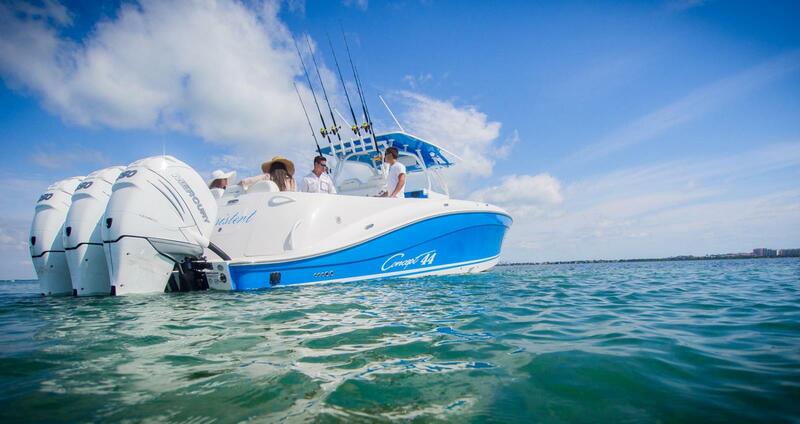 Triple and Quad outboards, or Seven Marine high-performance motors make quick work of long offshore crossings. 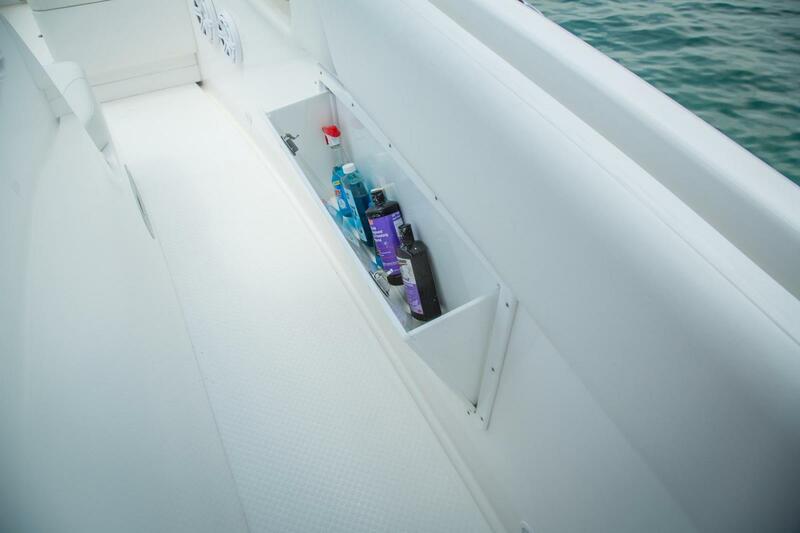 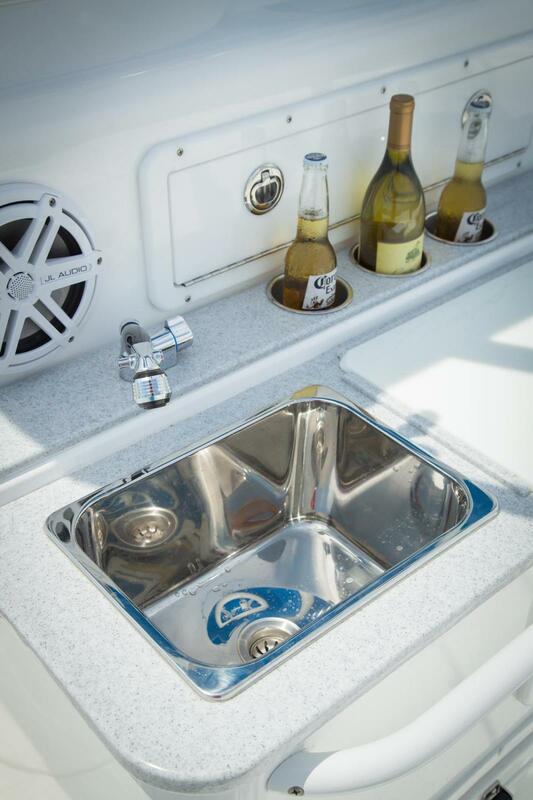 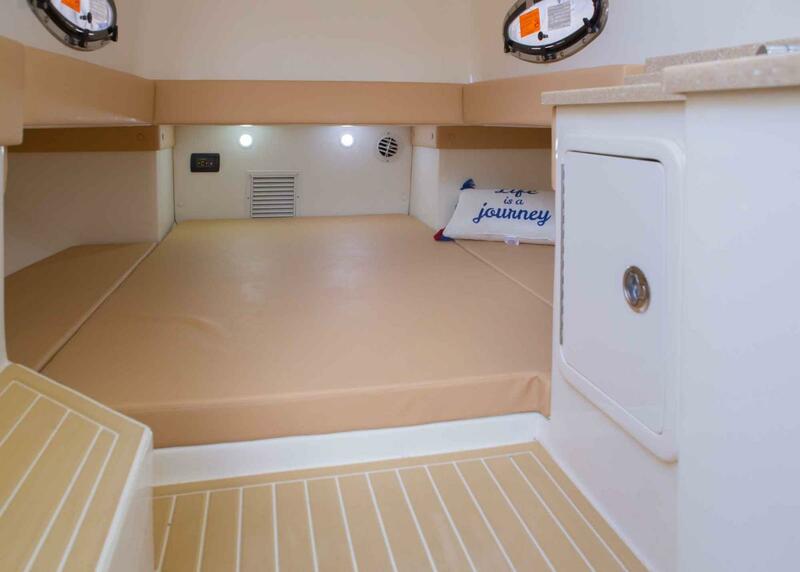 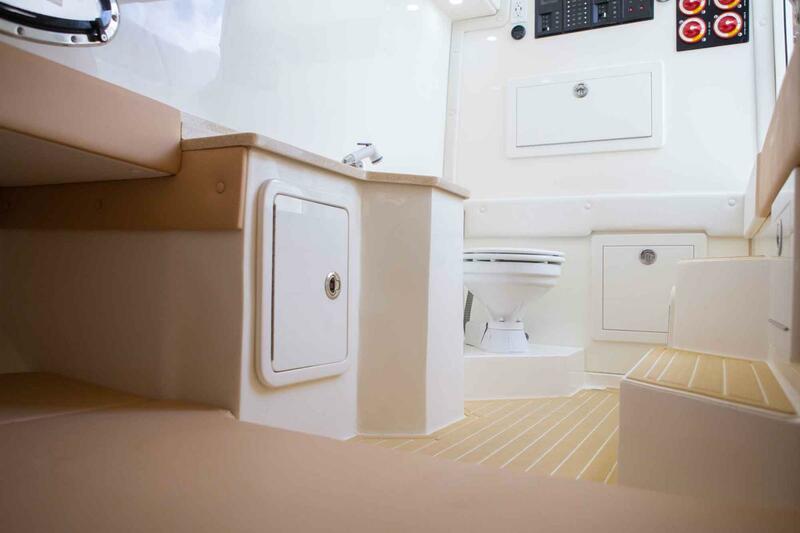 For added comfort, a bathroom and small bed can be found beneath the console along with a well-appointed galley. 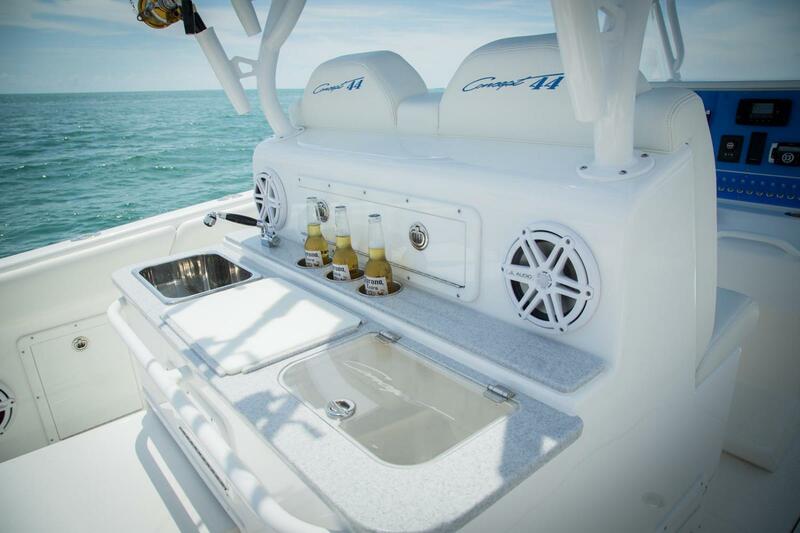 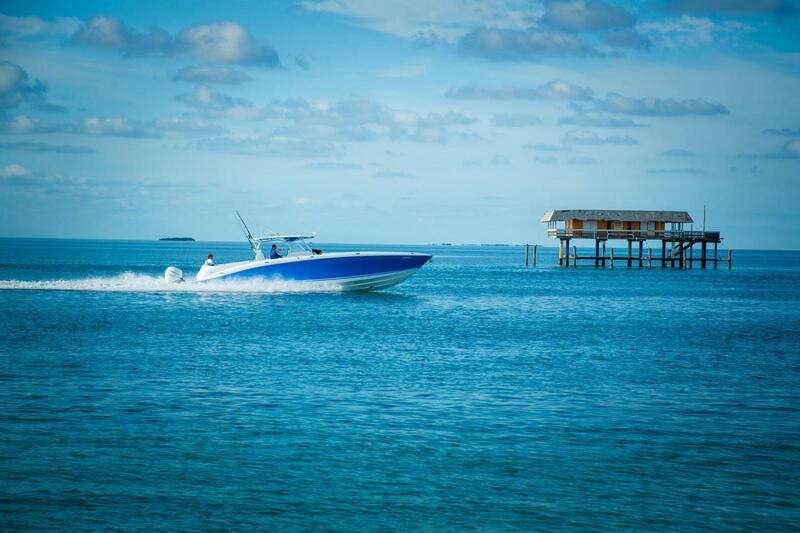 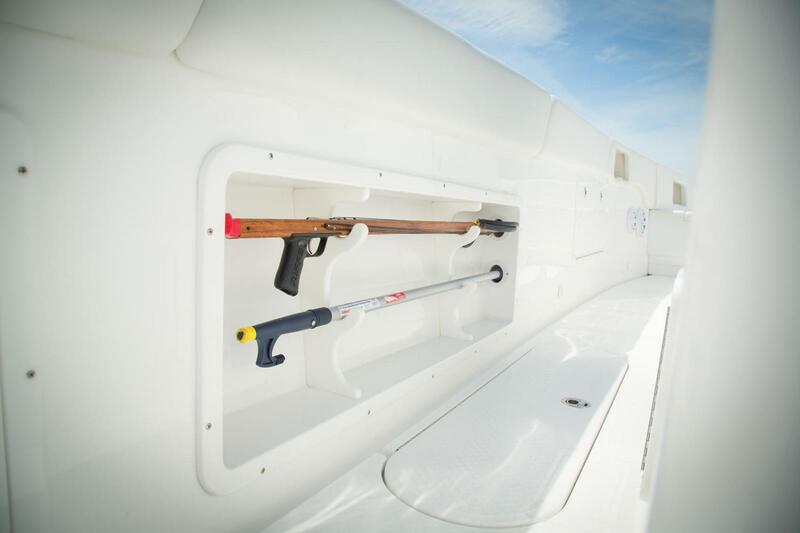 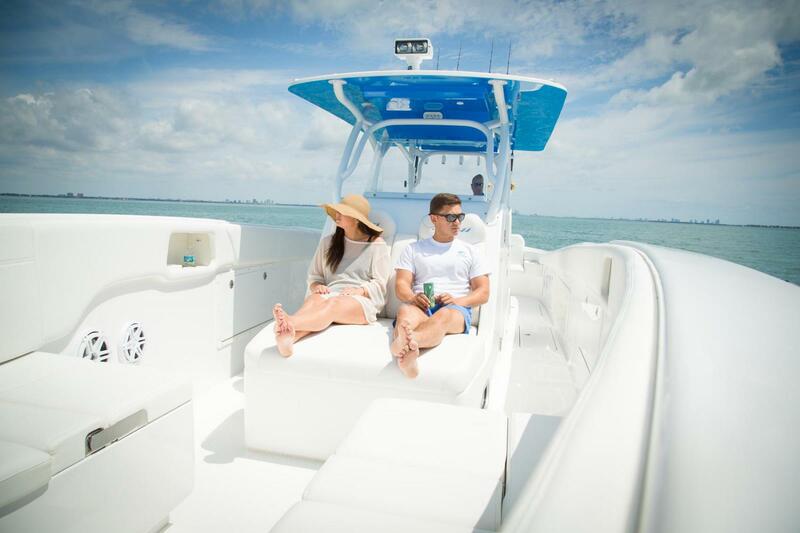 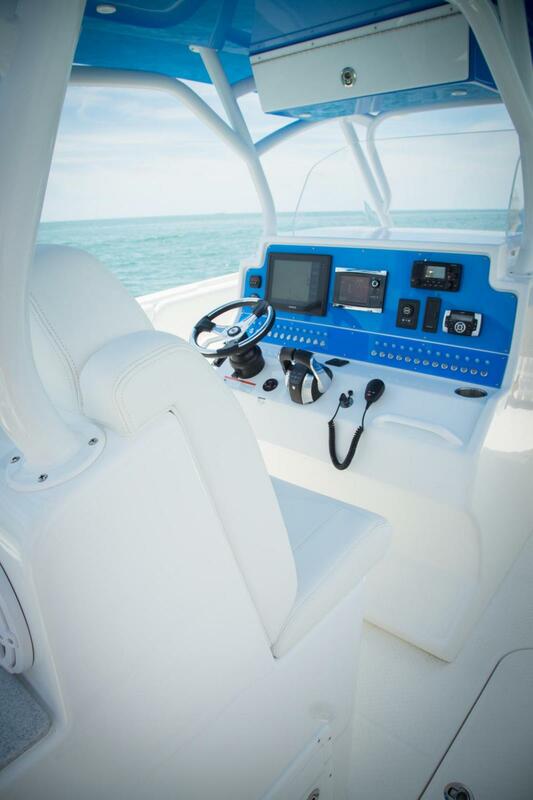 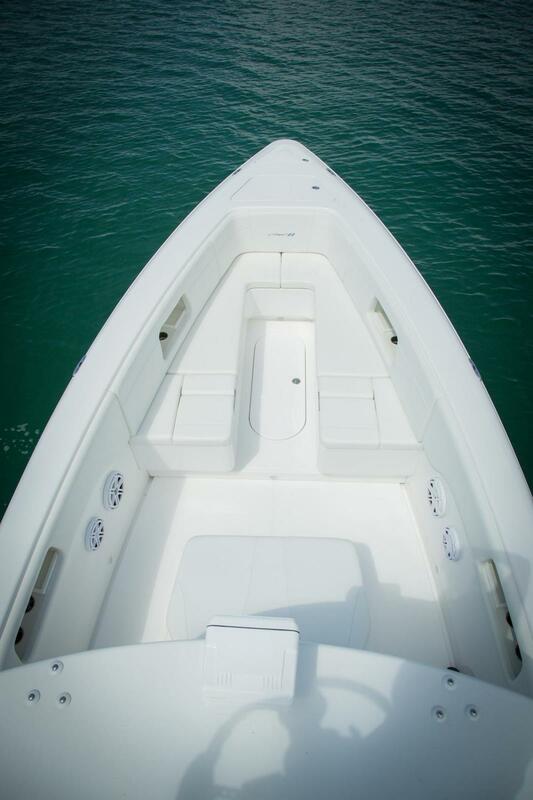 Equip your boat with a generator, flat screen TV, sound system, lighting and more. 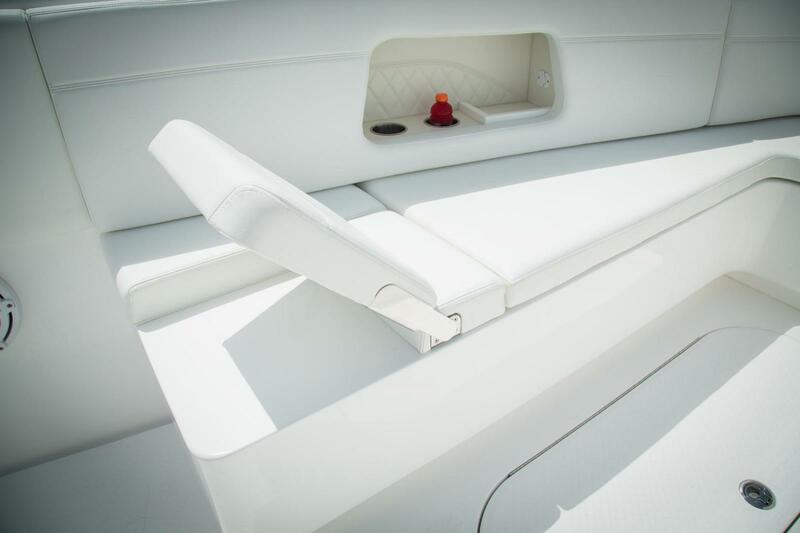 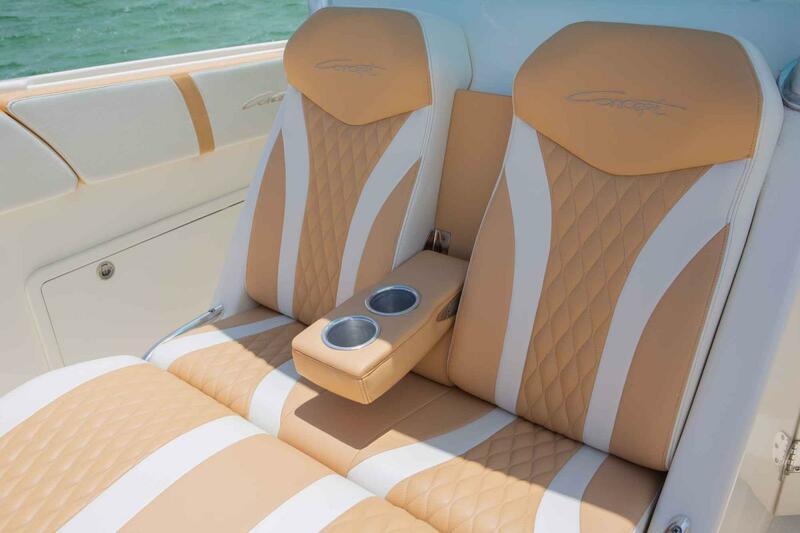 Create the custom look you want with sun deck cushions and lounge seating on deck, and your choice of wood grain flooring or carpeting in the cabin. 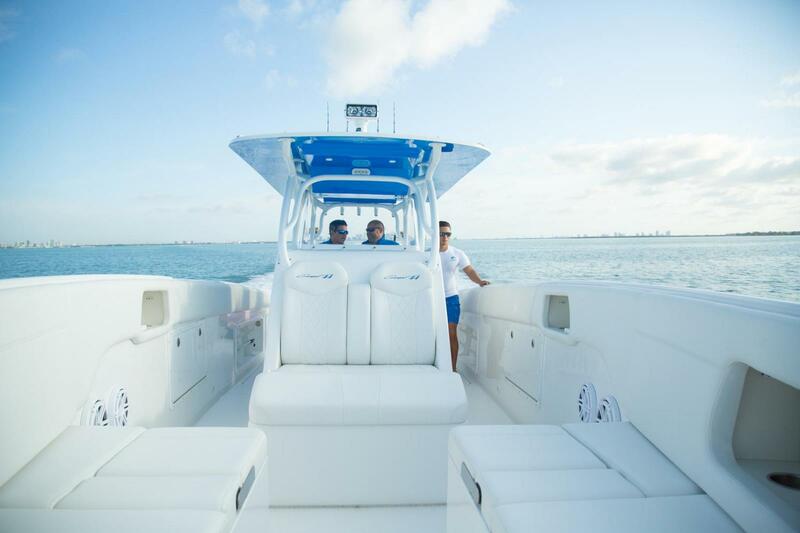 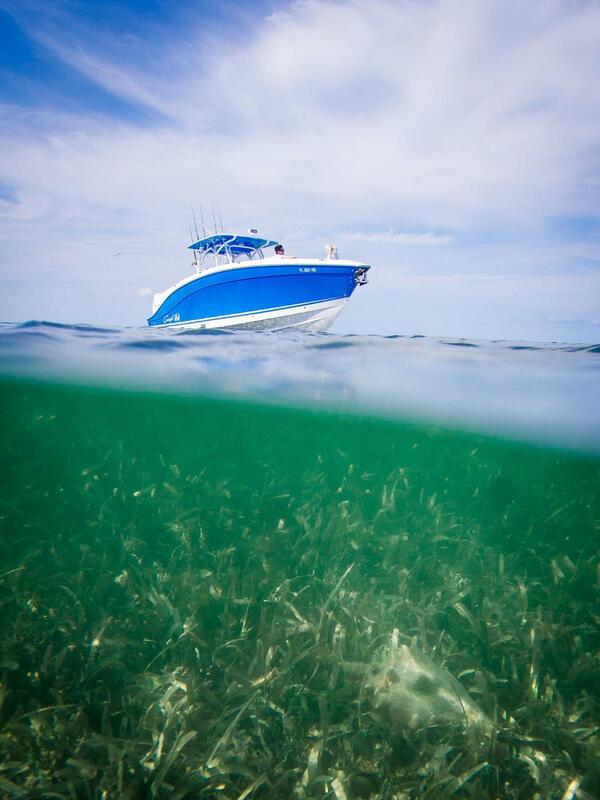 When it comes to power choose from triple or quad 350 hp outboards, or go big with twin or triple Seven Marine 600+ hp high-performance motors. 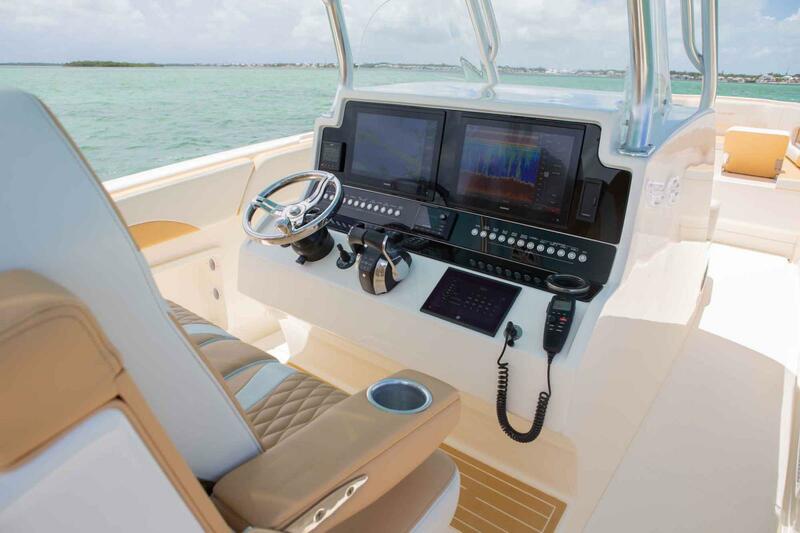 Maximum Outboard Rating 1,600 H.P.